Hypnos Premier Inn on solid divan too firm, causing hip pain. Do I buy a sprung divan base or a new softer mattress? Hi, I have been struggling with my Hypnos premier Inn mattress since I got it three years ago. It’s much firmer than the hotel ones feel and I’m getting a lot of hip and shoulder pain and waking to feel achy. My mum reports the same problems from hers. The same setup except mine is a double, hers is a king. 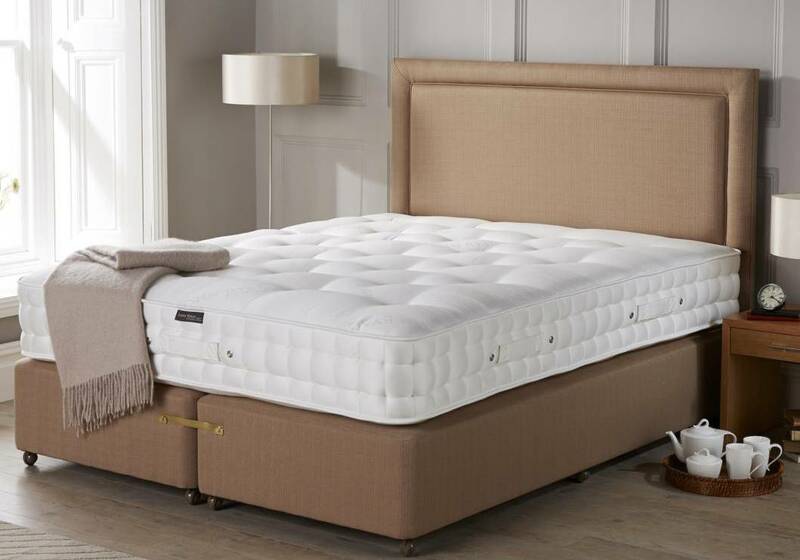 I’m 5ft 4 and 85kg – but both of us have solid platform divan bases and I wondered whether a sprung base would considerably soften the feel of the mattress, and improve rest quality, or whether a new, softer mattress on the existing base would be a better option. Thank you for your advice, it’s much appreciated! Thanks for your question, I will certainly try and help. Sorry to hear you’re in discomfort. It’s really hard to state that one specific mattress will remove your pain. That said you need a mattress that has the right level of support and comfort for you. At your weights, you would be looking at a medium support unit and either medium or soft in the top layer. Especially if your hips are sore, you may need slightly more sink in the mattress to accommodate you. Your sleeping habits and personal preference will then be the catalyst for your mattress decision. A sprung edged divan base is better for ‘any’ mattress and contributes greatly to the overall support (and feel) to the mattress. This is the reason why most top end mattresses are partnered with a Sprung base. All pocket sprung mattresses ‘like’ a flat even surface, to keep the pocket springs on an even keel. The springs within the base will be acting as a suspension unit and take/adjust to all weights applied to the mattress. Non sprung divan bases are cheap to make and cheap to sell. They do not offer anything in the way of suspension to the mattress hence the feeling of a ‘plateau’ (firmness) when you lie on your mattress. Slatted bedframes do not offer a significant degree of suspension. The slats are usually arched which throws the mattress out of alignment and could cause your mattress to dip in the middle region – The humpback bridge effect. You can read more about the drawbacks of slatted bases here. In order to recommend a mattress accurately for you, I would need to know your sleeping habits and your preference for a soft/medium/firm in the comfort layers. If you could confirm this for me, I will be more than happy to point you in the right direction. In answer to your question regarding shoulder ache/pain, undoubtedly this is caused by the mattress you have been too firm. What is required is support from the spring unit and comfort being provided by the upholstery layers. Without knowledge of your current budget, it is difficult to make a specific recommendation, although we would suggest looking at the best selling products at the foot of this response and in particular the Origins Pocket 1500 and the Artisan Naturals. The Origins has man-made upholstery and the Artisan has natural upholstery. The Origins has a standard medium spring unit, whereas the Artisan can have the tension selected as soft, medium or firm.